What should the Hawks do with their draft pick? Well the finals are now in the books and it’s time to look ahead towards the NBA draft. 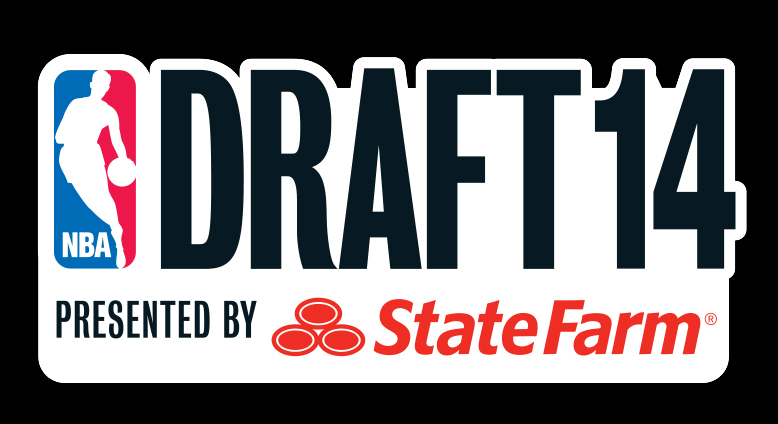 Let’s start with some FAQs about the Hawks Draft. What pick do the Hawks have? Who did the Hawks take last year? Dennis Schroeder (PG) and Lucas Nogueira (C). Dennis was not great in his first NBA season, but we knew that he was a project player. We kept Nogueira in Spain last season, where he was hurt for a while, but was good when he played. We might bring him over next year. Wing players! Especially guys who can shoot 3s. Coach Bud loves the 3 ball and the Hawks need a shooting guard, since Lou Williams has been lackluster since returning from injury. A small forward would be nice here too, but the Hawks seem pretty content with dividing those minutes between Demarre Carrol, Kyle Korver, and Mike Scott. The Hawks could go big here as well, because they want to move Al Horford to power forward, and we only have All-Star Paul Millsap for one more year. Who are some good shooting guards in the draft that projected to go around 15? I’ve seen several projected to the Hawks at 15. Rodney Hood, James Young, and Zach Lavine to name a few. 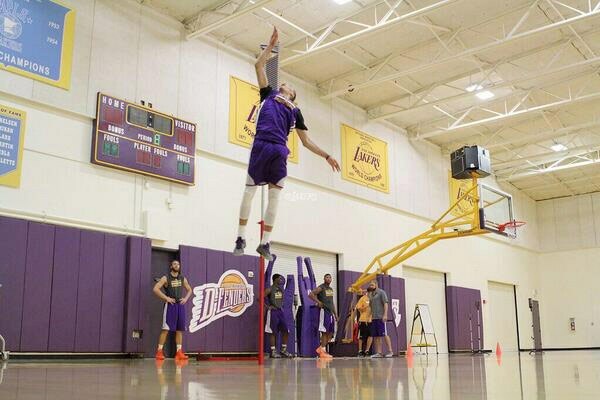 Nik Stauskas would be a dream scenario here. He is a 2 guard who can bomb threes and create off of the dribble. He can even play a little point guard. Put him and Teague together, with forwards who can shoot midrange and threes and we’ve got 2 creators who can make their own shots and get open looks for Korver, Scott, Millsap, Antic, and Horford. Unfortunately my boy Nik is getting looked at by several teams that pick before the Hawks, making Stauskas a pipe dream. Hey can you stop salivating over Stauskas and talk about the guys we could get? Sure, Rodney Hood was red hot from three last year shooting at 42%, and his mechanics are great, with a high release point on his shot. He was the best pull up shooter in the NCAA last season shooting pull up jumpers at 43%. He showed he could do a bit of ball handling too. However, despite his 6’9” wingspan he is a subpar defender. He has some of the lowest steals, blocks, and rebounds per 40 minutes in this draft class. He isn’t going to be a great defender, rebounder or ball handler, but he will do one thing extremely well: shoot threes. 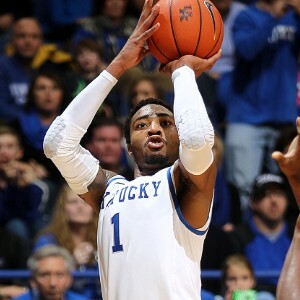 James Young is a bit more of a prospect than Hood, but he is 2 years younger. His stroke is good, but he didn’t have the same success rate as Hood. He is bigger with a 6’11” wingspan. He is very athletic and has demonstrated ability to play above the rim. He had a ton spot up shots last year and was very successful when he was open (45%) but much worse when he was guarded (32%). He doesn’t have the best shot selection, and his ball handling skills leave much to be desired. He is a good rebounder, but lacks fundamentals on defense. He is a little worse than Hood, but doesn’t turn 19 until August, so he has a lot of potential. Zach Lavine is less polished than either of these guys. However his physical tools, young age, and high potential have scouts salivating. He is extremely athletic and his max vertical is 46”. Combine that with his standing reach of 8’4”, for a maximum of 12”4’ and you can easily see he has the ability to play above the rim. He demonstrated the ability to not only spot up, but also pull up, and shoot coming off screens. Although at times his shot was unstoppable, he is a very streaky shooter, shooting 43% the first 3 and a half months of the season, but only 19% in the last month. His explosiveness helped his transition offense which is a key part of his game. He is a decent ball handler, but has trouble creating his own shots. He also has trouble finishing around the basket, especially on his left side. He is pretty bad defensively. That being said, with his physical tools, and the flashes of greatness we saw this year at UCLA, he has the potential to be very good. He will not contribute to the team that drafts him during his rookie year. But down the road with the right coaching he could develop into a star. What if the Hawks decide to go international with their pick? The Hawks went overseas twice last year, and Danny Ferry loves international players, so it could happen. 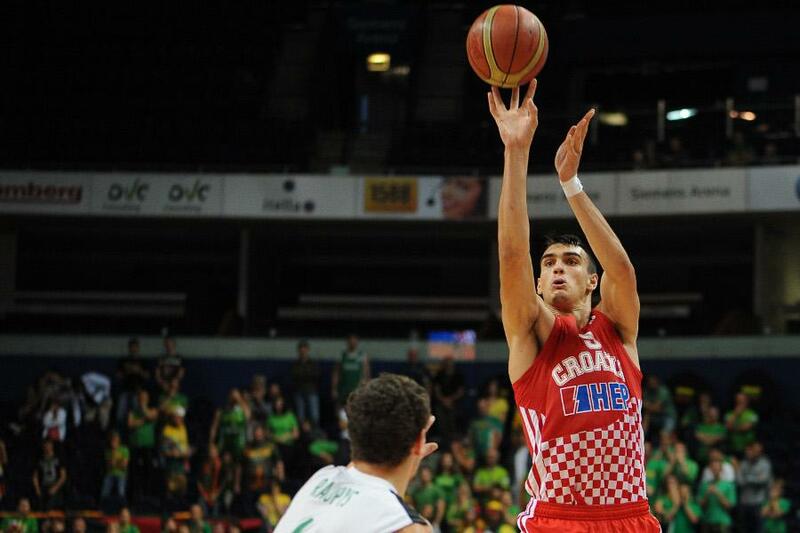 Dario Saric’s draft stock has been dropping recently, and getting him at 15 would be a steal. He is a small forward who can run the game, also known as a point forward. He absolutely dominated the Adriatic league, piling up points rebounds and assists. He has a crazy high basketball IQ, which leads to great passes and tons of chances for his teammates to score. He is the kind of player who can elevate the game of everyone on the court around him. He is a fantastic rebounder, and gets a surprising number of steals and blocks for someone who doesn’t have a huge wingspan. However, he really cannot defend the post well at all, as opponents shot 49% against him in those situations. He also turns the ball over too much. That being said the biggest drawback of Saric is if we will actually come over and play in the NBA or not. Comments made by him, his dad, and his agent seem to reflect that he would like to stay in Europe for a year or two. 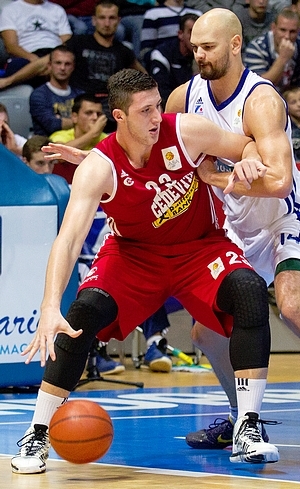 Jusuf Nurkic is another player overseas whom the Hawks are interested in. He is 6-11 280 center. He played limited minutes in the Adriatic league this year but made the most of those minutes averaging 11 points and 5 rebounds, while shooting 59%. He also led the league in win shares, PER, and win shares per 40 minutes. He is really good on offense and has great ability to score. He is very good in the post, and has a great jump hook. He also shoots 80% from the free throw line. He also is a really good rebounder He has the tools to be great defensive player, and showed that he can protect the rim. But he gets bullied on the post and has a long way to go before he can be the anchor for his team. He also isn’t really athletic. He gets into foul trouble as well. He struggles with decision making and is turnover prone. He is the second best center in the draft, because this is a week draft for the 5 spot. Can the Hawks trade their pick? Maybe, apparently the Kings are trying to trade down and they are very interested in Dennis Schroeder. If the Hawks get the 8th pick, guys like Stauskas, Aaron Gordon, Dougie McBucket$ (Doug McDermott), and Garry Harris are in play. 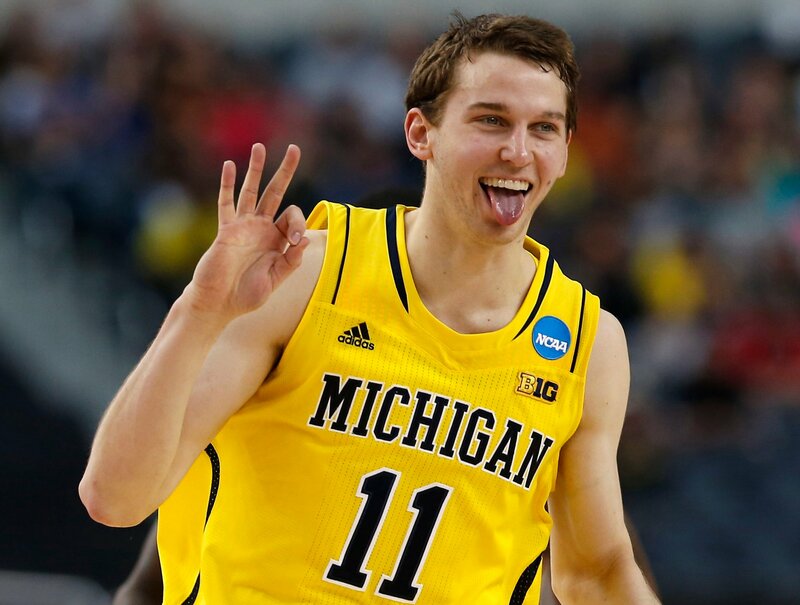 I love Stauskas and Harris, but Harris can’t shoot the three ball as well as Stauskas. We already have Korver so we don’t need another big guy from Creighton who can bomb threes, no offense to McBucket$. Gordon is interesting because we are going to need to replace Millsap at some point but shooting guard is still our biggest need. A trade isn’t likely but could happen. So what should the Hawks do with their pick? With Nogueira a possibility next year, I think our biggest need is still shooting guard. With that in mind and the low probability we actually pull off a trade, I think we go with Hood or Young. I would be fine with Lavine, but I would rather have someone who can contribute right away. I might eat those words in a few years, though. All in all I don’t think we can go wrong with this draft because it’s so deep. I just hope we don’t Marvin Williams it again.